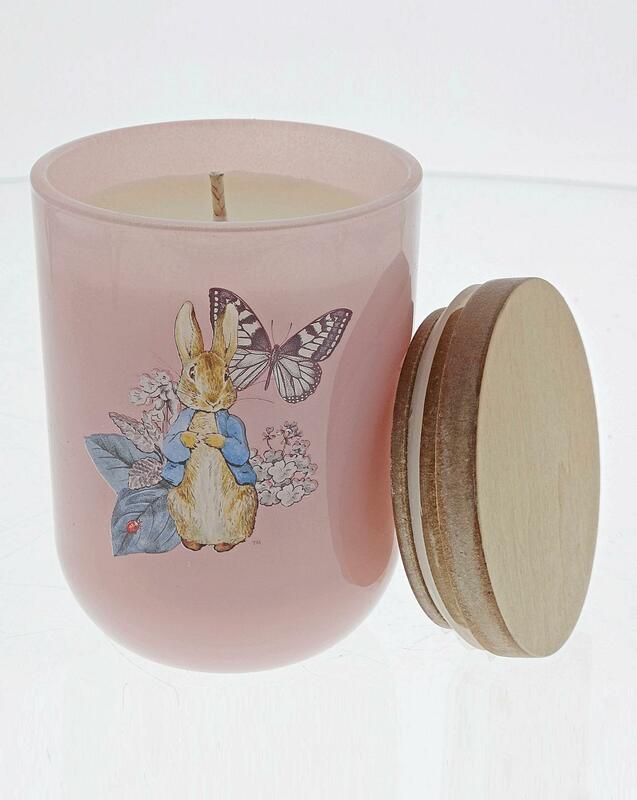 Here is a new fresh and floral Peter Rabbit Garden Party collection, with pops of soft pink and fresh floral flowers we are sure this collection will be a hit with Peter Rabbit lovers. 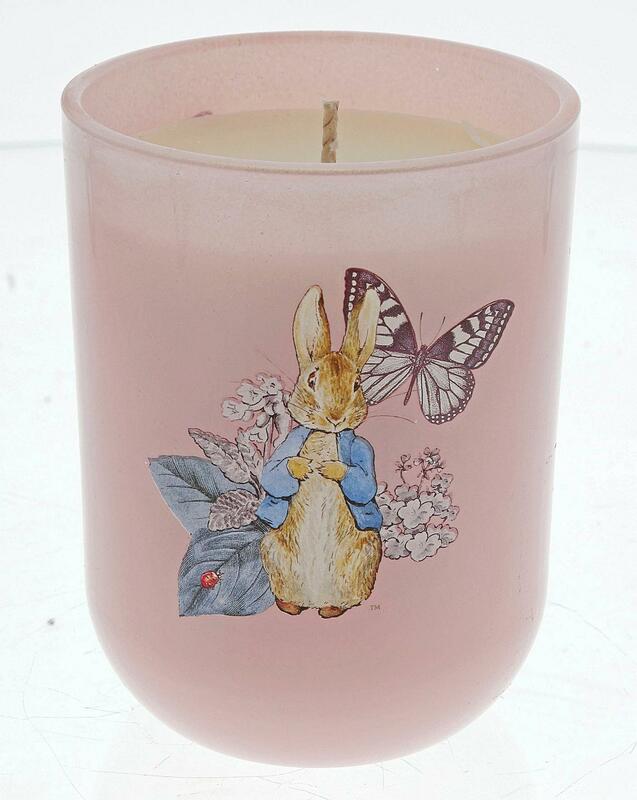 A beautifully scented Peter Rabbit Garden Party Clean Linen Glass Candle. The candles make great keepsakes too. 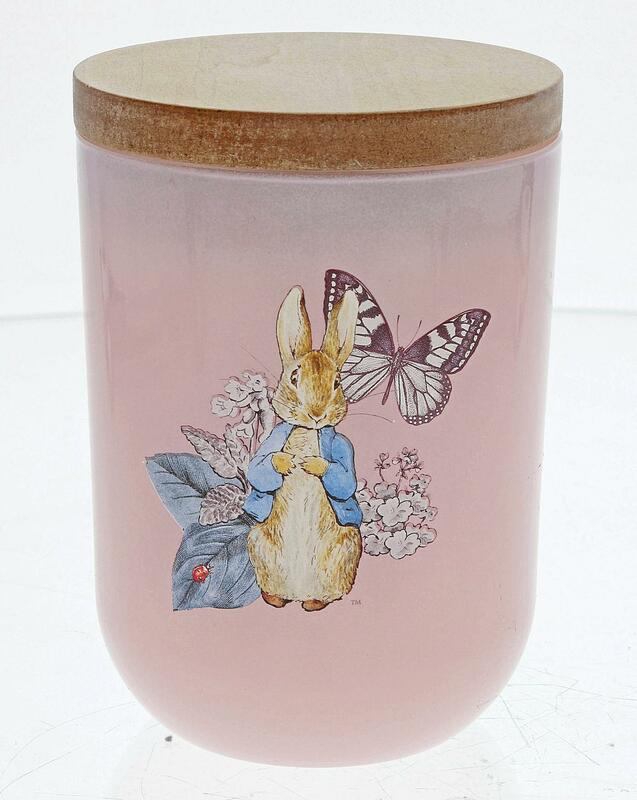 Once your candle has burnt down you can simply place a tea light or flowers in the glass jar and continue to enjoy. Burn time approx. 40 hours. H.8.5 x W.8 x D 8cm.